The Incendium Maleficarum has been lost and Carter Weston presumed dead, but the story is only just beginning. Now Carter's only daughter, Rachel Jones, and his oldest friend, Henry Armitage, must embark on an epic journey that will take them from the hell-blasted Tunguska forest to the catacombs of Paris to the shores of the Scottish Isles. Not as good as first novel. From Brett J. Talley, the master of Lovecraftian terror, comes thirteen tales of the dark forces that lurk just beyond man's understanding. Read them if you must but do not forget: there are some things mankind was never meant to know. Urban explorer and photographer Becca Philips was raised in the shadow of Miskatonic University, steeped in the mysteries of her late grandmother's work in occult studies. But what she thought was myth becomes all too real when cultists unleash terror on the city of Boston. Now she's caught between a shadowy government agency called SPECTRA and the followers of an apocalyptic faith bent on awakening an ancient evil. Weston's journey takes an unexpected turn, however, when he ventures into a tavern in the small town of Anchorhead. Rather than passing the evening as a solitary patron, Weston joins four men who regale him with stories of their personal experiences with forces both preternatural and damned. Two stories hit close to home as they tie the tellers directly to Weston's current mission. 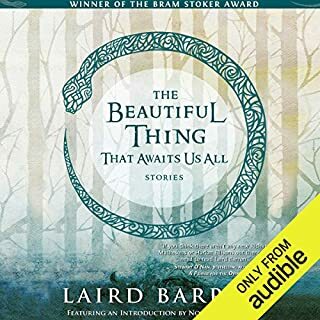 The best compliment I can give “That Which Should Not Be” is that it’s the only novel I’ve ever read three times (four counting the audio version). That’s how good it is. Built around a series of chilling tales recounted by the novel’s characters, each is self-contained and enjoyable in its own right. Yet these individual stories contribute in ways not immediately foreseeable to the overall plot. It’s a classic kind of storytelling, and author Brett J. Talley pulls it off masterfully. In each of the novel’s composite narratives, he builds dread-filled anticipation, and pays off the reader with harrowing action. TWSNB is a Lovecraftian horror novel, meaning it borrows from the mythos created by early 20th century horror writer H. P. Lovecraft. 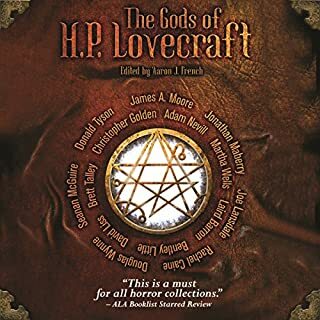 For those unfamiliar, Lovecraft is credited with creating “cosmic horror.” In Lovecraft’s telling, at some point in the ancient past these massively powerful elder gods called the Old Ones were cast out of our world. Their return would pretty much mean the end of the world, and for that reason a lot of Lovecraft-inspired fiction revolves around human worshippers foolishly trying to awaken their favorite Old One. You needn’t be a Lovecraft fan to enjoy this novel, though if you are you’ll notice more than a few Easter eggs. 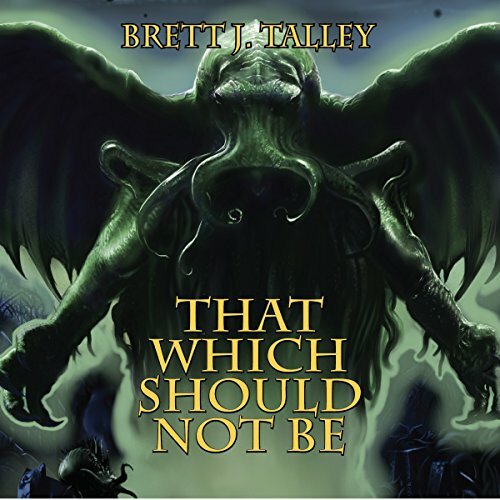 In Lovecraftian fiction, a protagonist’s powerlessness relative to the Old Ones can be taken as shorthand for humanity’s cosmic insignificance, yet Talley rejects this nihilism. In addition to all the disquieting coincidences, eerie locales, and menacing atmosphere Lovecraftian horror at its best should offers, TWSNB gives us bold heroes whose struggle valiantly against evil. Perhaps more importantly, their struggles have a point, their suffering meaning. For all the blood and horror contained in TWSNB, it’s that belief in purpose and hope that makes it refreshing compared to a lot of modern horror, and perhaps the broader culture as well. And that, I suspect, is why I’ve returned to the novel every couple years. i really enjoyed this story. I read Lovecraft's Necronomicon a year ago and though it is a bit slow and challenging this book is not. this book pays homage to the Lovecraft source but still manages to be fresh and well paced. I also enjoyed other subtile nods to famous authors such as Bram Stoker. Horror fans will find a familiar place in these pages but with a fresh enough story to compell you to reach completion. Great. reminds me of Lovecraft and makes me want to hear more. highly recommend it to anyone who wants to read an interesting Lovecraft style tale. Not an entirely terrible book, but not truly horror either. Basic Lovecraftian plot you've probably read in any of the many thematically similar stories out there, and it's very predictable. I personally didn't like the narration, his accents were terrible and he reads at a slow pace, over-enunciating words on occasion to the point that you'd believe he was reading you the mentally impaired. Not a great book, but not entirely terrible either, I'd give it 3.5 stars if it was possible, but resisted rounding up to a 4 in the fear that someone would look at the score and blow their credit on it before reading the review. I didn't know what to expect from this book, I selected it because of the narrator. But I was almost instantly hooked. The book is a frame story with a triptych of shorter narratives within. These brought in elements from history (which were accurate) and spun them in original ways. For example the second story the one that takes place in eastern Europe, the Scholomance figures. I remember reading Dracula, and the Scholomance is mentioned twice in Bram Stoker's book, but I remembered it only from World of Warcraft. There's quite a bit about it on the internet and I was delighted to learn something about the folklore the author borrowed for his story. I love little bits of historical accuracy in period books, and this had plenty. In the third story, the whole history of Danvers State Hospital is detailed. All of it was historically accurate and also fit nicely into the narrative. This doesn't do justice to the little bits of history and literature. Like Dan Brown, the author is a polymath. It's like the Call of Cthulhu meets The DaVinci Code. The book is a winner. I don't tend to like Lovecraft pastiche because nobody can even hold a candle to the master (except for Robert Bloch, perhaps), but Talley comes close enough for horseshoes. The idiom is antiquated, which is to say, it sounds like it might have been written in the 19th or early 20th Centuries. So it's not the kind of modern language you find in most books. That won't appeal to everyone, but I liked it; it gave a sense of mood and set the action firmly in time. David Stifel's narration is excellent, his accents have authenticity and his characters are multidimensional. I always understood what the characters were feeling even if it wasn't explicit in the words. He knows the secret of how to make characters live. The frame story borrows heavily on the classic Call of Cthulhu, and I resisted that for a bit until the author AGAIN put a new spin on it. Impressive writing indeed. The horror is cosmic and I felt that several times during the book--especially during the Captain's story--being lost in a cosmic sea. This book really cooks and I'm going to listen to it again I'm sure. I'm also going to get the sequel. 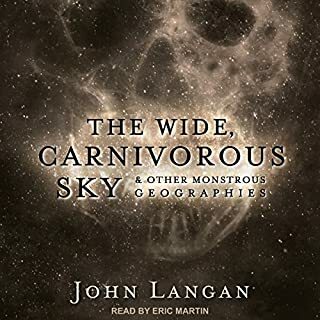 If you like Lovecraftian horror you will love this book--I think if you're a Lovecraft purist you might not; maybe not right away, but there's a lot here that transcends the Mythos, that draws on threads of ancient world history. It's extremely satisfying. I found this particular book to be riveting. The narrator expertly conveyed the distinct nuances of each character, and the stories told by each man in the tavern with our skeptical protagonist were as enthralling as they were connected to the overall story. I would certainly recommend it, but perhaps not for people who live alone in dark and remote houses where things go bump in the night. 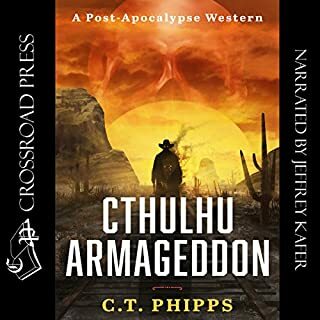 Great collection of tales based around the Cthulhu mythos. As I am not a Lovecraft expert, I don't know if these stories just draw from the Lovecraft Cthulhu collection, or are a re-telling. Never the less, it was a fun listen. I really enjoyed the format of people telling the tales in a tavern to connect the story. The author did a great job making you feel like you were sitting there having an ale on a stormy night, absorbing each story from the men who told them. It somehow reminded me of the older horror movies I loved as a kid. I wouldn't categorize it as scary, but well told, not corny. TWSNB is a Lovecraftian Masterpiece!! I have read (listened) to very few books that have made me want to actually study some of the history, myths and legends contained within (alongside reading the work itself) and it made the read all the more deep and engaging. I have never been a huge Mythos fan…until now with TWSNB. 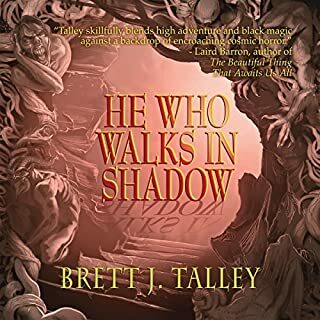 With his deeply dark and atmospheric prose, Brett takes us through a series of stories, each of them rich and unique in their own right which ultimately leads us to the very gates of the netherworld. Excellent. Highly Recommended! David Stifel really nails the narration for this one with what must have been a rather difficult job of keeping the characters straight and the plot moving without losing any of the books dark atmosphere. Very well done. I look forward to more of David's work. I enjoyed the mini-tales in this one more than the overall tale. I also find the authors christian influences in the mythos to confuse and muddy the whole story up. Enjoyed the story but the reader made is almost painful to make it to the end. Would have enjoyed it more if I had read it myself and not as an audiobook. Has the author read the works of H P Lovecraft? 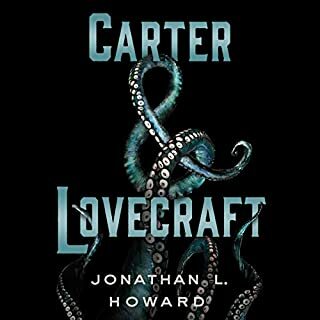 What began as a thoroughly promising book came apart in the final chapters and led me to believe the author had but a weak understanding of the Yog-Sothothery that Lovecraft created. It was in the latter half of the book that a character is Possessed by an entity that identifies itself as Yog Sothoth and from there it is all downhill. For one Yog refers to Cthulhu as his master yet we know that Yog Sothoth was akin to Cthulhu's grandfather and thing become worse when it refers to itself as Legion, fears the Cross and spouts Latin. Christanity has no place when dealing with the Great Old Ones as they predate the Bible by several million years and the less said about Yog Sothoth being described like Satan near the end with horns and hurling fireballs the better. Can I recommend the book as a work of Mythos fiction? Heck no and when this is removed from the equation you're left with a pretty generic book.